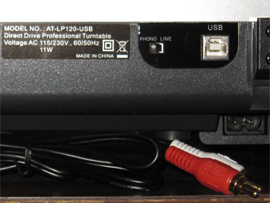 Note: Like the Stanton T.92 before it, the AT-LP120-USB was a freebie from the manufacturer. Please call me out on any signs of shilliness. 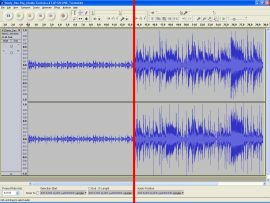 Audio-Technica's USB version of their AT-PL120 did much better on the trackability tests LPs than Stanton's T.92- likely thanks the elliptical stylus tip on its ATP-2 cartridge. 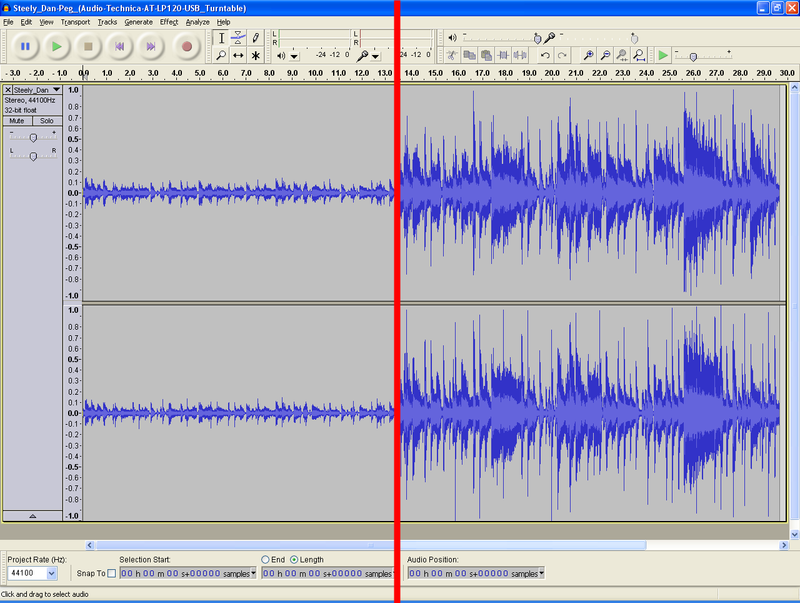 However, I couldn't hear the difference between the AT and the Stanton once I normalized the samples. The elliptical stylus tip didn't result in the noticeable improvement I was expecting over the spherical stylus tip on the Stanton T.92. The point where you can't hear the difference between CD and vinyl is further up the line of turntables. The extra $100 - $200 between a plastic $100 USB turntable and these DJ turntables didn't buy much in terms of sound quality (well, maybe the proper speed). I can't hear the difference between the $100 AT-LP2D-USB and the $300 Stanton T.92 in a blind test. Maybe I just don't have the best ears for this. Can anyone else clearly hear the difference between any of these samples (above)? Overall, it seems like a good value at just under $200. It's a solid at 23.5 pounds, though the plinth is encased in plastic. It has many adjustments, including tonearm height (though I may never use it). 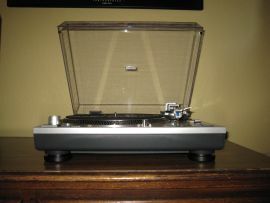 What I really liked is the LP120 just worked out of the box, unlike the Stanton. They offered a recommended tracking force- 3.5 grams. On its first play, I did the three trackability tests on HFN002. I couldn't hear any mistracking. It started mistracking at +16dB. The +18 track was unplayable. Talk of the PL120 inevitably draws the comparisons to the SL-1200. I collected a few such conversations. The most significant comparison to me is the difference in price. An MK5 is going for over $1,000 these days. I don't doubt that the SL-1200 is better in most of the ways described in those threads. But is it really $800 better than the PL120? A final observation: Normalization is an absolute requirement when using the LP120's A/D converter. Steely Dan peaks at -10.8dB. We talked about this at length already but I think the AT-LP120-USB could be the poster-child of why a pre-ADC adjustable gain would be so useful. Quick correction: I have since found a number of places selling the SL-1200MK5 in the $700 range and you can buy it directly from Technics for $899. So, I guess it's not as dire as I reported above. I was thinking of getting one of those for my new living room. Is it worth getting? I don't care too much about the A/D converter. It's gonna go into my amplifier only. I heard many good things about the AT-LP120. Supposedly, they cartridge they come with, is much better than it used to from 2011 on, is that right? Can I use Moving Coil pick-ups with it? Prices haven't really dropped since 2010, is it worth getting, or is there a better alternative? ...is it worth getting, or is there a better alternative? I don't think anybody can answer that for you. Knowzy didn't find any major defects or weaknesses, so it should be OK. Have you gone to Knowzy's website to read reviews on other turntables? 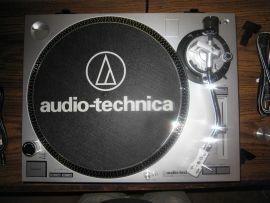 It's a mechanical device, and turntables are not big sellers so I wouldn't expect the price to drop. You are essentially getting the preamp & USB interface free, and it does come with a cartridge. So, you are saving at least $100 USD compared to a "traditional" turntable where you'd have to buy a cartridge and preamp. I don't care too much about the A/D converter. It's gonna go into my amplifier only. Like most USB turntables, it has a built-in preamp. Since most modern receivers don't have phono inputs, that saves you from buying an external preamp. 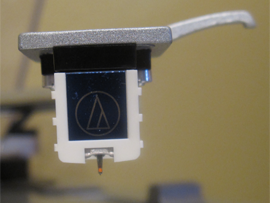 I've never heard one, but I'm not convinced that a moving coil cartridge is superior. The frequency response curves don't seem any flatter than any good moving magnet cartridge. And the weaker signal generally means a worse signal-to-noise ratio from the preamp. And you can go all crazy with a moving coil cartridge, a special preamp, and a high-end turntable, and you're still stuck with analog vinyl that's technically inferior to a cheap CD player (noise, distortion, and frequency response).